Every color goes with black, that is certain. But varieties of green have been gaining popularity this season and have been showing up in some great looks. The bright Kelly green look compliments the darkest of colors especially with a leather accessory like a great bag or a pair of boots. Pink and purple isn’t so trivial, I know. But violet and pink is a whole other story. Pair this fun shade of pink with a deep luscious purple with something exciting like a great coat and some heels, or a top and a skirt combo. This pair may seem a bit sports-like. But if done the right way, can look incredibly polished and stellar. 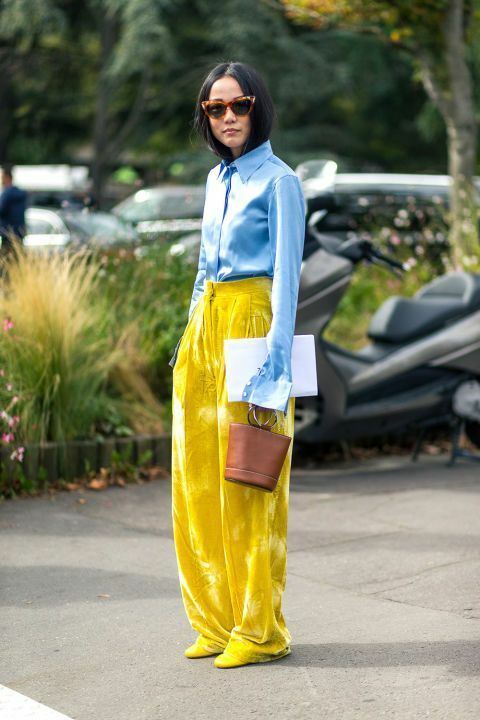 Pair the sapphire blue with something tailored like a jacket or trousers and bring the yellow in with a bold accessory like a handbag or a pair of shoes. If bright colors really aren’t your thing, may I suggest the ever so sultry combination of merlot red and black. Like we’ve stated before, black goes with everything. But to pair black with a rich color will not only look bold, but incredibly stunning. This particular shade dubbed “greenery” has been projected to be one of the most popular colors of the season. Sported every which way from fabulous skirts to dresses, you surely can get your hands on something in this popular color. Pair it with an equally bright earthy color like a primrose yellow and you will look fresh and ready to go. Once again, we run into the versatile shade of green, but this time in a stunning dark color. This dark shade of hunter green will pair perfectly with the soft sand pink as the deep and light tones will complement one another. Go with this pair in a dress and heels combo or a jacket with a skinny scarf. This color combination is bright and fun. Pair this exciting bubblegum pink with a clean white and you will be unmissable in this fresh look. Go for a pink skirt with a clean white top, or a white dress and a bubblegum pink crossbody bag. This new combination is warm and can be worn in many ways. These two bright colors paired with each other can be tricky, as you don’t want to look like a dessert, but if done right, can be quite chic. Style a warm red sweater or tee with a light pink skirt and style it with a pair of sneakers in black or white, depending how bright you want to go for outfit color combinations. This color combination can scare anyone away at risk of looking like a bumblebee. This is a valid concern, but there is a way around this. Style a black outfit like a dress or black trousers and tee, and style it with a bold yellow piece like a great coat or a pair of shoes. The simple dash of yellow with a single accessory will make the look pop and you won’t feel like a cartoon. This color combination may seem random and a bit bold for some, but the bright orange and dark red complimenting one another will look surprisingly chic and quite new. Style the mahogany red with a great pair of shoes or a sweater, and sport the orange with a flowy skirt or a handbag for outfit color combinations. This color combination screams summertime and is bright enough to give anyone’s wardrobe life. Style this look with a yellow skirt and blue blouse or a a yellow sweater with a pair of light wash pair of jeans for outfit color combinations. I know, we can often be wary of the green and red combination at risk of the holiday look. But subtly sprinkling one of these colors into a look will be a way to ease into this color combination and look surprisingly great. 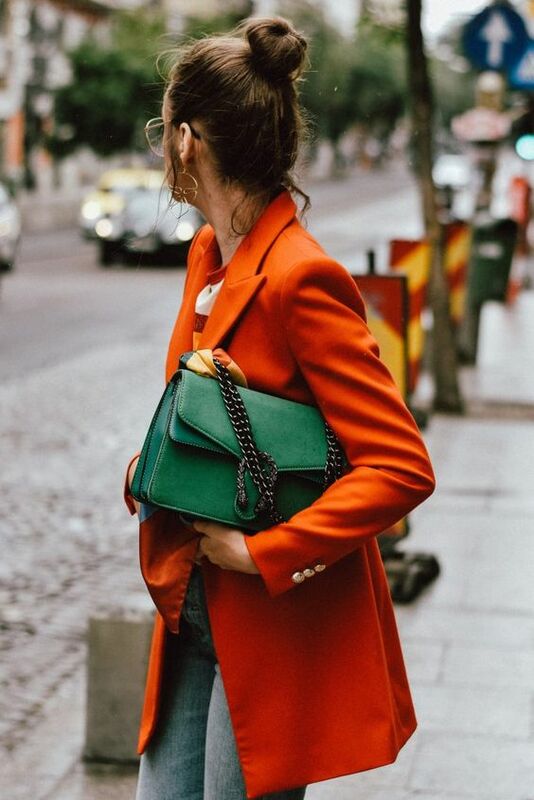 Go for a green bag and a red jacket or a green scarf with a red sweater. Play with the combination and see what works for you for outfit color combinations. Which of these outfit color combinations are you going to try? Let us know in the comments.